The hotel takes diners on a culinary journey through the well-heeled St James's neighbourhood. 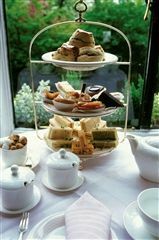 The Stafford London takes inspiration from its well-heeled St James's neighbourhood for Afternoon Tea at The Game Bird. 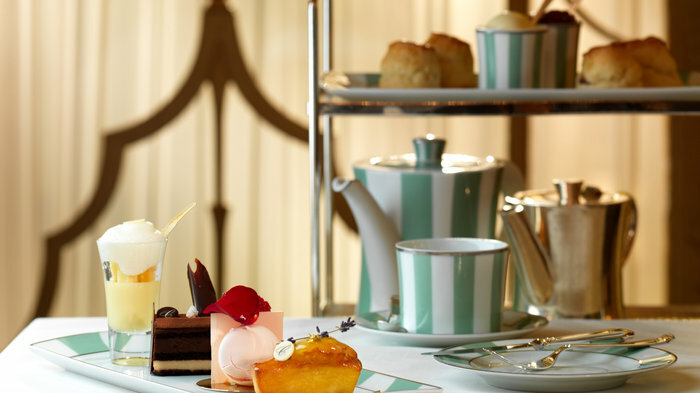 Created in partnership with the high-end boutiques, delis and shops that surround the 17th-century hotel, the indulgent afternoon tea takes diners on a culinary journey through the area, stopping by infamous independent retailers via a selection of carefully crafted pastries and delicacies. The oldest hat shop in the world, Lock & Co, is referenced through a charming white chocolate and lime top hat while Savile Row tailor Henry Pole & Co. is appreciated with a smart almond tuxedo shortbread. Executive Pastry Chef, Magdalena Kubanska, has used A Rose For from the Floris fragrance collection as inspiration for the English strawberry and rosewater cupcake, and shoemakers Foster & Son are given a nod with a seasonal fruit trifle served in a traditional shoe polish tin. The most notable feature, however, has to be the spectacular chocolate and hazelnut cigar in honour of timeless cigar shop James J. Fox. Prepared using the hotel's very own smoke machine, the rich cigar cleverly evokes the scent of the real thing. Before all this, diners can tuck into a selection of traditional finger sandwiches, a Westcombe Cheddar scone created using cheese from Paxton & Whitfield, and a Game Bird sausage roll aptly made with a range of game meat. Of course, no afternoon tea is complete without warm scones, served to perfection here with clotted cream and strawberry jam, and a selection of Camelia's Tea House teas and Moet & Chandon Imperial Brut Champagne are available to complete the regal dining experience. Successfully striking the perfect balance between a creative concept and a traditional menu, Afternoon Tea at The Game Bird is no doubt one of the best afternoon teas in London. From cheap budget hotels to luxury 5 star suites see our discounts for hotels, including Mandeville Hotel London from 57% off.